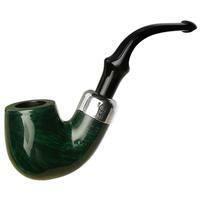 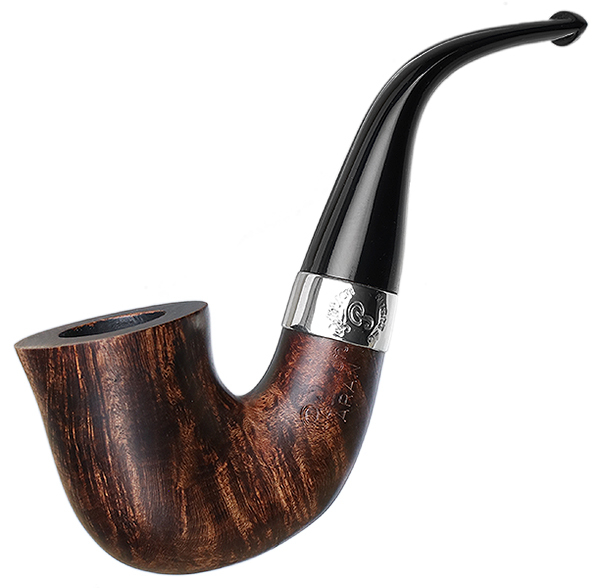 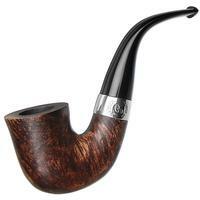 Easily one of the most recognizably "Peterson" of shapes, the "05" bent Dublin/Calabash makes a good show of all the classic elements of this marque. 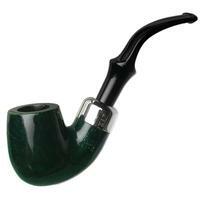 The bowl is quite tubular, until, of course, it reaches the point of its trumpet-like flaring towards the rim, and the shank is as full and heavy as can be. 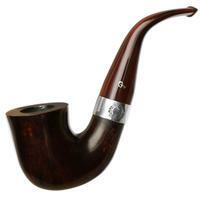 It's presented here in the very popular Aran finish, sporting a walnut contrast stain accented by a bright nickel band.